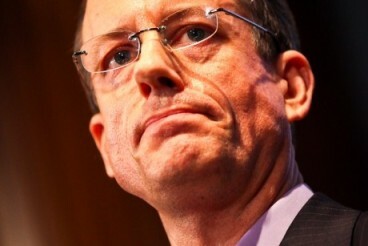 Thomas Drake, the whistle-blower whom the Obama administration tried and failed to prosecute for leaking information about waste, fraud and abuse at the National Security Agency, now works at an Apple store in Maryland. In an interview with Salon, Drake laughed about the time heconfronted Attorney General Eric Holder at his store while Holder perused the gadgetry on display with his security detail around him. When Drake started asking Holder questions about his case, America’s chief law enforcement officer turned and fled the store. It’s like Milton out of “Office Space.” You’re put in the basement in a cubicle away from everyone. Yes, by the very means by which you can detect patterns. What is true about technology like ThinThread or Palantir Government is the real potential for irresponsible abuse in secret and targeting those who are deemed as trouble, dissenters in government or industry – using the very technology designed for intelligence indications and warning about real threats, and then using it against internal threats like whistle-blowing and profiling their activities for identification and punishment.